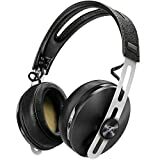 Professional headphones made for people that appreciate music at home or in the studio. Beyerdynamics DT 770 headphones come in different variants and they differ in terms of their impedance. The first one comes with 32 Ohms of impedance; this is best used for mobile applications. The DT 770 Pro with 80 Ohms was designed for recording purposes in the studio and the last one, the DT 770 Pro with 250 Ohms of impedance is best for a studio use of mixing applications. 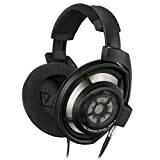 This headphone has a closed-back design and this is the practical choice of headphone to be used in the public since it’s supra aural cans can really quiet the world outside it. When it comes to tonal accuracy, DT 770 is pretty good, it is also comfortable to use and it has a strong built. The DT 770 has a straight and businesslike look, it has a black color theme, light grey pads, velvet padding and a functional adjustable headband, and overall, the headphone feels comfortable. It has a closed back design and that means that you get a lot of bass, so amplified or not, it could give you an impressive audio. The closed ear design also helps minimize the outside noise and to orient the speakers of the headphone correctly to your ears. It could also provide a sound with a professional quality that you can use for critical listening applications. Wherever you may be, the DT 770 is designed to deliver an accurate sound while keeping you comfortable, which is really necessary for long listening sessions. Beyerdynamic’s DT 770 has a closed back design and it is perfect for critical sound and music monitoring. It has single sided cable which makes it easy to handle. It was engineered with a robust construction and all its parts are replaceable. It has an adjustable, soft padded headband construction making it a comfortable fit.